Coconut curry soup with carrot, celery, garlic and cumin is perfect for cozy Winter nights in. Top with spicy pepper and cilantro for an extra pop of flavor. 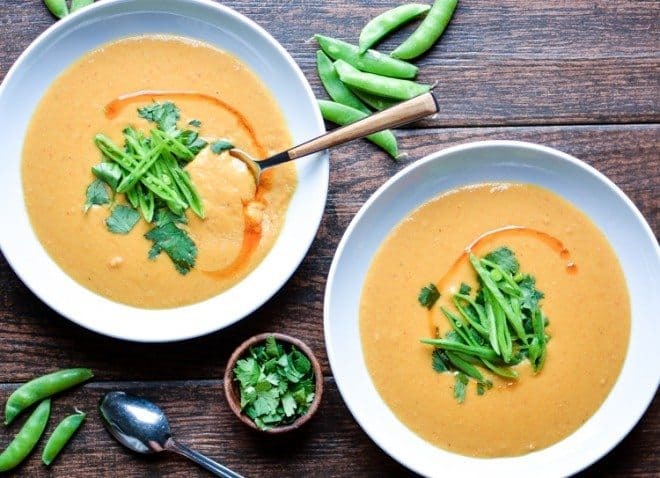 Today we’re sharing an immune system boosting coconut curry soup that is quick and easy to pull together and in line with all of your New Year new you goals. 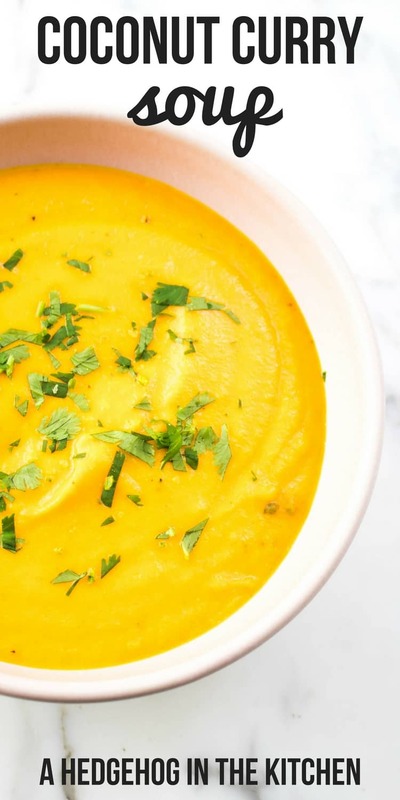 You can enjoy this soup while feeling confident that you are nourishing your body in a healthful way without skimping on flavor. We used yellow curry powder for this recipe. 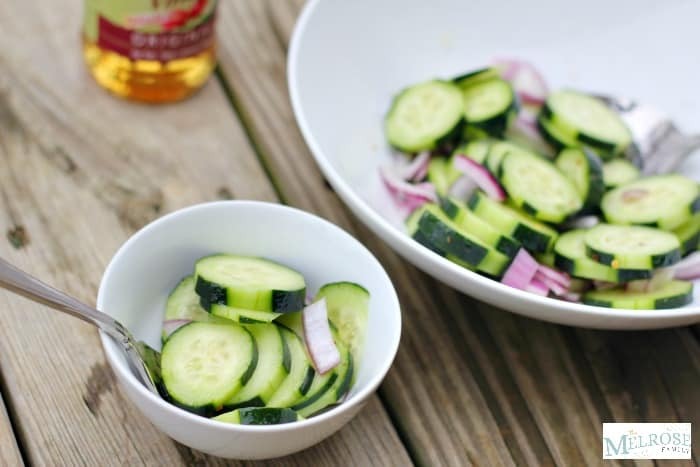 You could also use a green or red Thai curry paste instead. We recommend using a high quality coarse sea salt which adds flavor. The creaminess of this soup pairs really well with a whole wheat bread. You could replace the carrots in this recipe with potatoes, sweet potatoes or pumpkin. You could add some protein in the form of chicken or fish if you like. We love the texture of this soup and are sure you will too. 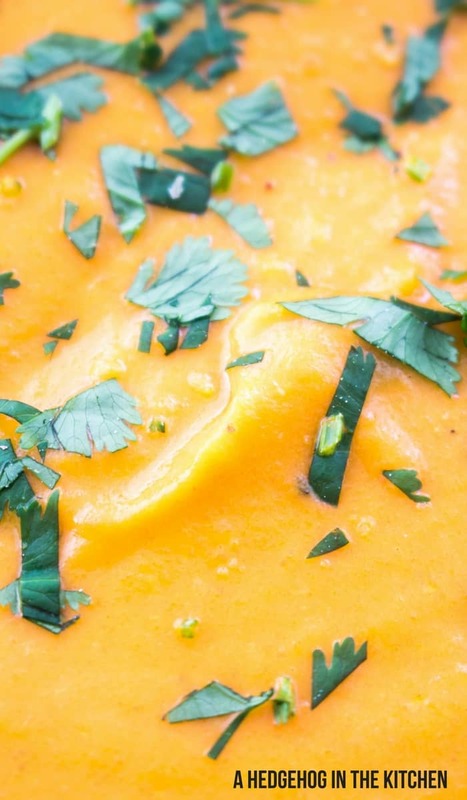 The combination of carrot puree and coconut milk create a really smooth texture. It perfectly complements the slightly spicy kick of the soup. 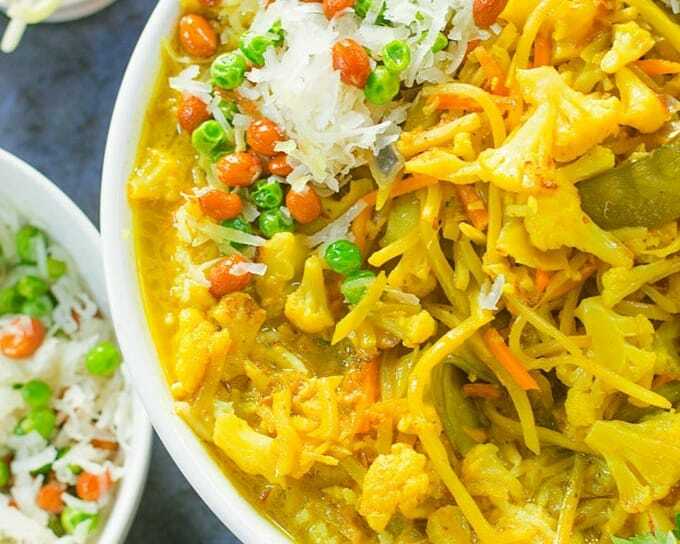 The curry powder will take you on an International adventure. Soups are a great way to get a delicious vitamin boost. 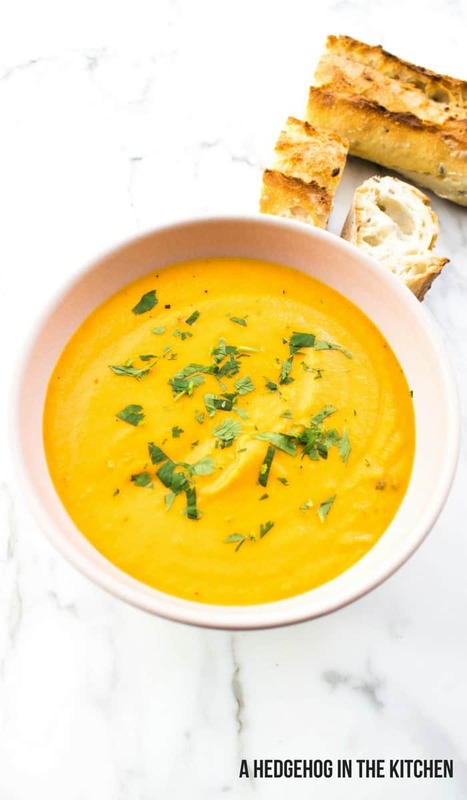 We have a large selection of soup recipes on our blog! 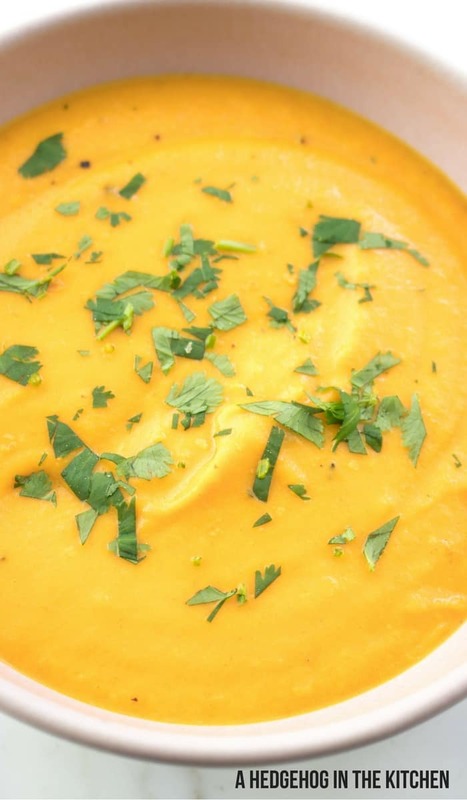 Make sure you make our Dutch Split Pea Soup and Leek Sweet Potato Soup this Winter. They’re basically like warm hugs in a bowl. 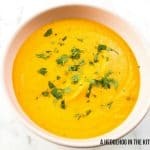 Coconut curry soup is a mixture of so many hearty and healthy ingredients : carrot, celery, coconut milk, curry powder, garlic, cumin, spicy powder and cilantro. Put the carrots, celery, garlic, cumin and a teaspoon of coarse sea salt in a large pot. Fill the pot with enough cold water to cover the mixture. Heat on high heat for 30 minutes. Add the ginger and half a teaspoon of ground black pepper. Top with spicy red pepper and cilantro to serve. If you liked this Coconut Curry Soup Recipe you might also like….